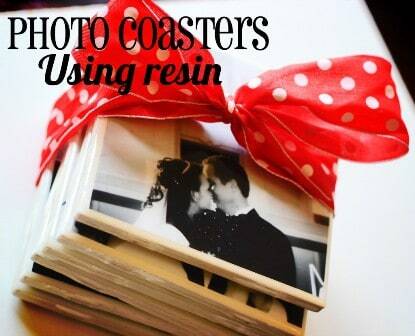 Welcome to my favourite 25 Homemade Christmas Gift Ideas! This post gets updated every year so do pop back regularly to see what’s new! 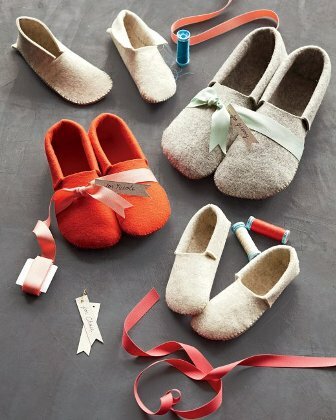 If you’re the kind of person that would rather make a gift than buy one, or if your festive budget is a little tight this year, here’s a whole heap of holiday inspiration for you. Whether you’re after presents for foodies, pets, kids or Grandparents, I’m pretty sure you’re going to find a fun project or two for this years festive season. 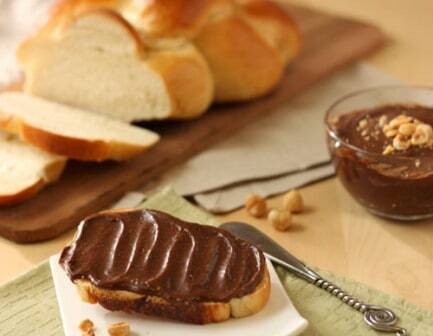 Vanilla Extract – Simple, classy & useful for bakers, plus this stuff is expensive to buy. 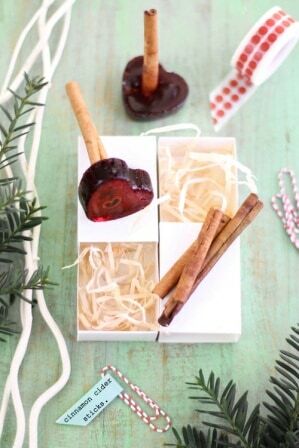 Satsumas Poached in Red Wine – Christmas in a jar! 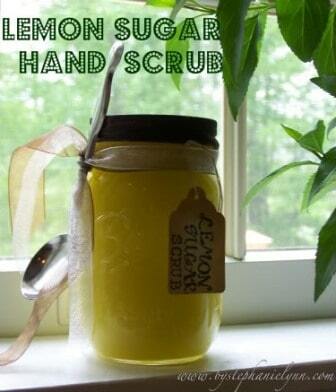 Lemon Sugar Hand Scrub – How would you not eat this in the shower…? 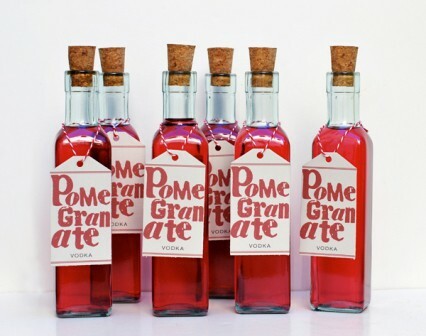 Pomegranate Vodka – What’s not to love? Home Made Bacon Flavour Dog Treats – Keep your doggy friends happy! Home Made Kahlua – Where have you been all my life…? 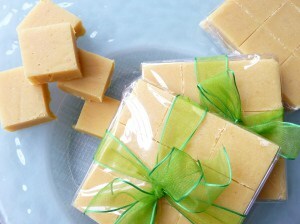 Citrus Lemon Fudge – Making my mouth water just thinking about it! 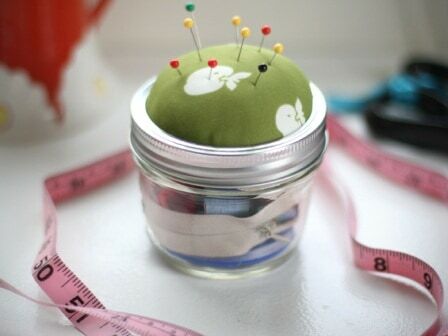 Home Made Seed Tape – Clever and cute! Cinnamon Cider Stick anyone? Slurp! 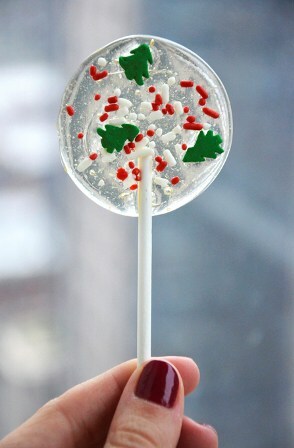 Holiday Lollipops – Aren’t these adorable! Candied Orange Peel – Scrumptious! 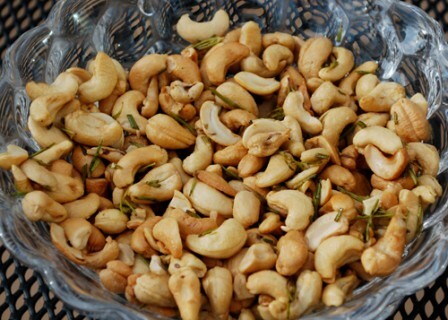 Rosemary Roasted Cashews – Yes please Santa! 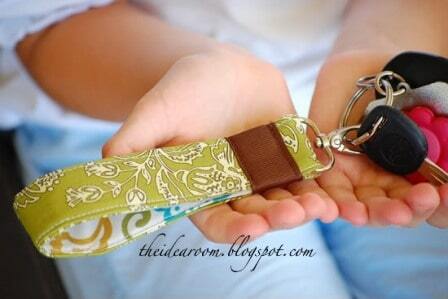 Gorgeous Fabric Keychains – Or make them longer for cool lanyards too. 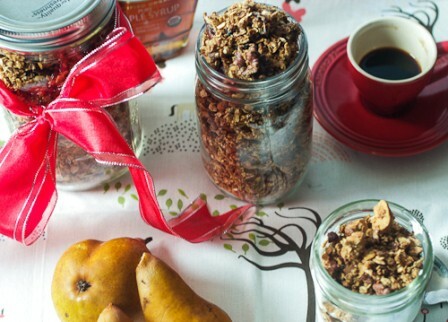 Maple Nut Granola – Hope Jonny’s not reading this, as this may well end up in his stocking this year! 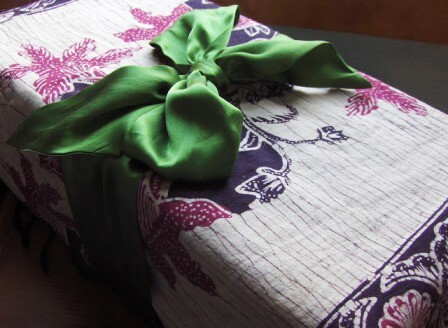 And whilst you’re at it, why not do away with the mass produced papers & bows and Rethink Your Gift Wrapping too! Thank you kindly for including my candied orange peel..
Hi there, and you are welcome! 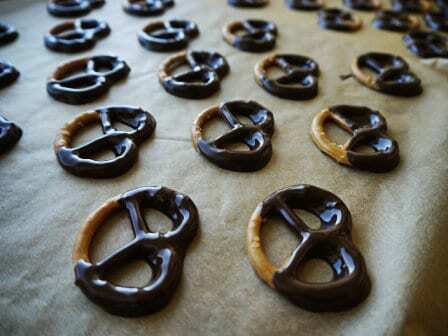 I LOVE candied peel, esp when it’s dunked in plain chocolate! All great ideas! 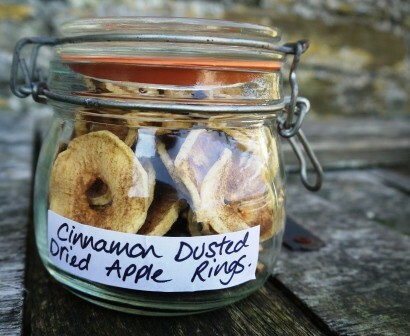 I’ve been dying to try your dried apple rings! They would make a great gift. I haven’t started on my list yet, but soon I will get on the ball :) Thanks for the ideas! Have fun with them Tammy. Trouble is most of the ones I want to make, I want to make for me!!! Not quite how it’s s’posed to work huh?! we always do a big of making things for us in the week before thingymas – peanut brittle and peanut butter fudge! INDEED! PS I have only bought cat food in tins since popping over to your blog. I know I still have a very very very long way to go, but baby steps right?! That vodka does look cool huh? Have fun, and thanks for stopping by adn leaving a commment! 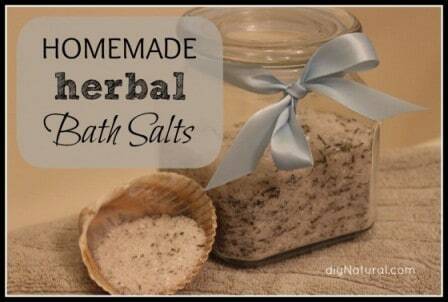 wow Jane ~ now i can have my coffee ~ getting ready to order some raw cacao and tumeric caps ~ adding bourbon vanilla to do a few recipes here…oh and next time i see a pomegranate i am not walking passed it. Ha! 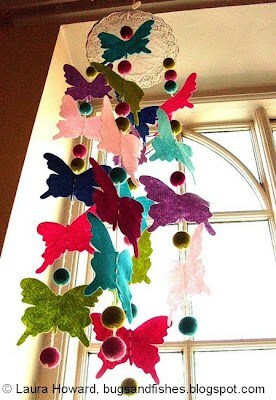 You are amazing Jane ~ and thank you so much for sharing these creative ideas. I just put my “alchemist” hat back on, thanks to you! Happy Christmas and goodness for you and yours in the New Year! 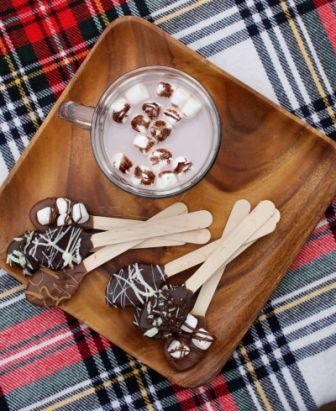 Hi Hedge, I would love to taste Hot chocolate spoons. My mouth starts watering already. Great ideas hedge good keep it up. Perfect, can’t wait to see them!